The act of serving begin with the act of teaching. Homesteading is a journey which requires drive and the ability to preserver. More times than not this can be achieved independently. However, it is stated that individuals learn best in a group setting. There is no greater joy than finding your tribe. A room full of like-minded individuals is encouraging and creates a positive learning experience. If you would like to host me for and event or workshop, let’s connect! Would you like to see what I have planned for 2019? My events and workshop schedule can be found HERE. 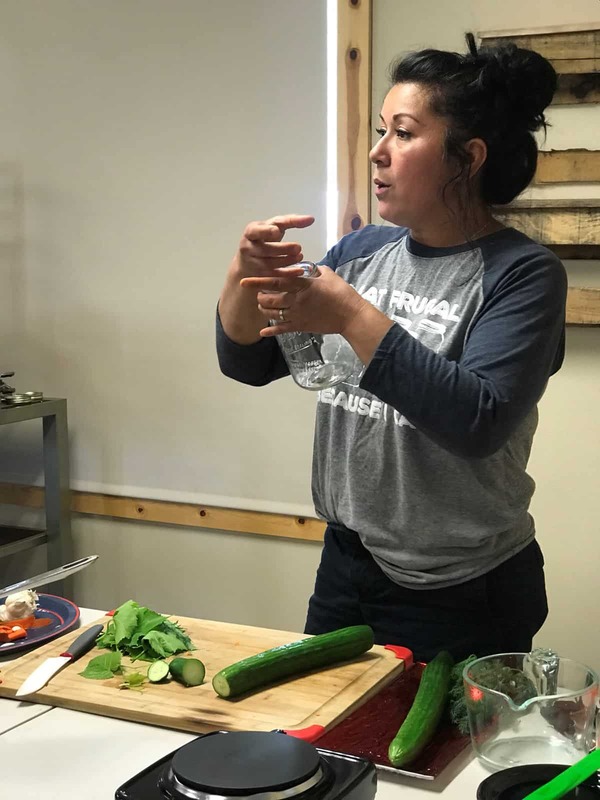 In addition to hosting a public class, private canning, fermenting, and soap making classes are offered throughout the year. Please email me for a copy of the curriculum and rates. I am currently producing articles for Scratch and Peck Organic Feeds and Homesteaders of America. I am honored to work with companies and small businesses which represent the homesteading and farming community. Our 2019 partners include – Brinsea Incubators, Harvest Right Freeze Dryers, Scratch and Peck Organic Feed, The Issaquah Grange, Hostile Hare, Camp Chef Propane Stove, Sloggers, and Homesteaders of America. Are you seeking to homestead but do not know where to begin? Schedule a private property consultation with me. Consultations will cover garden layout, incorporation of livestock and structures, raising livestock for meat purposes, and the simplicity of preserving the harvest. *Consultations are reserved to aspiring homesteaders who reside Washington State. Living a healthy life is not only done by the foods you consume but also through living a chemical free lifestyle. Overwhelmed by the plethora of essential oil options being offered nowadays? Allow me to share with you as to why I chose doTERRA for my family and on the homestead. Are you seeking to work from home in order to build a business in which you believe in? Contact me about how to make doTERRA your small business as I have made it mine. I’d be honored to have you as part of my homesteading/urban team! Feel free to contact me via email or on my doTERRA website HERE.